Brighton is a tolerant, creative place where ordinary working people live side by side with colorful eccentrics and alternative lifestyles. Extravagant gesture and visual excess are nothing new. 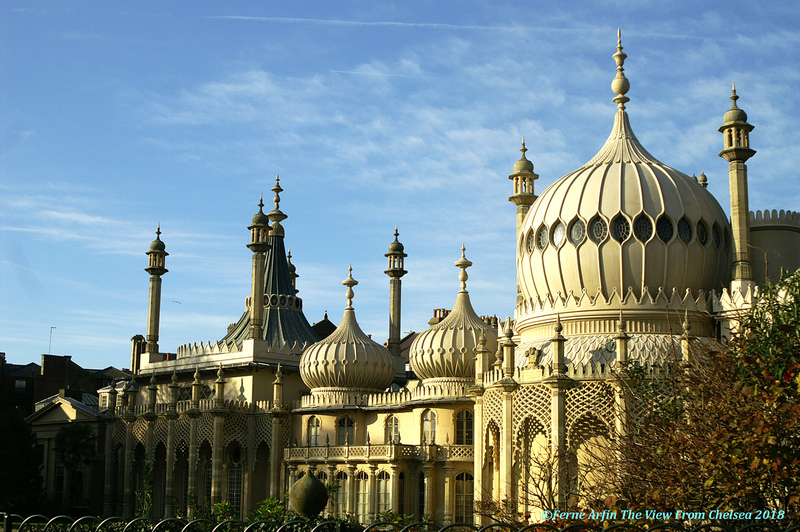 The flamboyant Royal Pavilion Brighton set the trend here more than 200 years ago. It seems almost impossible that a palace apparently fit for a Maharajah, with a roof that’s a whole village of domes and minarets, could go virtually unnoticed by visitors and locals every day. But Brighton has so much else going on – a beach that goes on for miles; street after street – or should we say lane after lane – of wildly independent shopping, a gay scene, a straight scene, an art scene, a foodie scene, a seaside pier, an aquarium, the BA i360 a huge glass doughnut that carries visitors high over the sea, a clutch of bars, clubs, theaters, music and comedy venues – you get the idea. The Royal Pavilion has been a feature of this raffish, crazy place since 1787, so long that it’s practically part of the furniture. If you’re visiting Brighton, don’t just gawp at the outside of the pavilion. Make the time to go inside of this fabulously insane bit of Regency self-indulgence. The British Raj – Britain’s Indian empire – was young and exciting and the fashion for chinoiserie was all the rage at the end of the 18th and early 19th centuries when the Prince Regent – later King George IV – hired architect John Nash convert his modest farm house near the seaside into the extraordinary fantasy palace that is the Royal Pavilion. In the early 1800s, George IV, then Prince Regent for his mad father King George III (the one who lost them the American colonies), decided to transform his seaside retreat, first created in 1787, so that it was a suitable place to entertain his sophisticated and sometimes louche friends. While in Brighton, he was usually in the company of his companion and unacknowledged (by the establishment) wife, the twice widowed Mrs. Fitzherbert. The key rooms are the amazing banqueting room, a huge (and 1816 state-of-the-art) kitchen and a music room with its own impressive pipe organ. Upstairs, the accommodations and bedchambers are, for a palace, surprisingly small and modestly furnished. But then, this was not meant to be a place to settle down and live comfortably in; it was, first and foremost, a party house to surpass all others. The Royal Pavilion, a former royal residence built in 1787, as a seaside retreat for George, Prince of Wales, who became the Prince Regent in 1811. Note the dragons on the chandeliers and tucked into every corner. Photo by Ben Selway for Visit Britain. When it comes to the wow factor, nothing quite prepares visitors for the Banqueting Room, designed by Robert Jones. The Prince Regent’s original guests were equally impressed. An enormous, silver gilt dragon supports the main chandelier, under metal palm fronds that seem to quiver as visitors walk through. It was said that women guests were afraid to sit under it. More dragons decorate the elaborate blown glass and crystal chandelier as well as smaller fixtures around the room. The table is set for a dessert service, the setting based on an aquatint done for architect John Nash in 1823. Nine lotus shaped chandeliers lit the elaborate music room, where George IV’s own band entertained guests. The room today is a triumph of the restorer’s art. In fact, much of this disaster prone house survives thanks to restorers. But more about that below. The Great Kitchen, with its high ceiling – supported by four, cast iron “palm trees” – and its modern (circa 1816) appliances, was such a point of pride for the Prince Regent that guests were often shown around it as part of a grand tour of the pavilion’s state rooms. Head chef, Marie-Antoine de Careme – who is credited with inventing the chef’s white coat and hat – was known as the chef of kings (he also cooked for the Russian Tzar). To say that the menu’s at Prinny’s banquets were excessive is an understatement. A reproduction of a menu for one of his banquets – a 100 course meal – is on display in the kitchen. 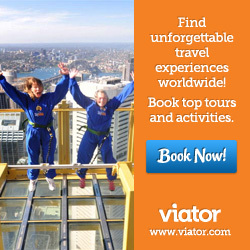 It includes 40 entrees and 32 desserts, fish courses, “great courses” and loads more. The meal was more about performance art than dining, though from the looks of his portraits, the Prince Regent must have enjoyed more than the usual meat and two veg on a regular basis. Performance was what this house was all about and it was designed more as a theatrical set than has a palace for the ages. Nash built a framework of cast iron (at the time a technically advanced material) around the original farmhouse and other earlier structures. The Pavilion’s elaborate domes, towers and lattice work details are hung on this framework. The fragility of Nash’s design was apparent almost immediately. The roof was leaking within 10 years and was in constant need of repair. Salty sea air – and later traffic pollution damaged the flimsy fabric of the building. In the late 1960s ten of the minarets were in such bad shape that they had to be replaced. But, in post war Britain, the local authority which now owned and ran the house, didn’t have the funds for a proper job – so they were replaced with fiberglass imitations. These have now been replaced with Bath stone and the original minarets on the north side of the building have been sensitively restored. In 1975, an arsonist attacked the music room and caused severe damage to the interiors and the roof. Finally, in 1982, funds were allocated for a major program of restoration, costing £10 million. The works strengthened the fabric of the structure and began restoration of the original decorative interiors that is still ongoing. The restoration project took 10 years and included reproducing the room’s large, hand-knotted Axminster carpet. The last lick of paint had barely dried when, during the “hurricane” of 1987, a stone ball became dislodged from one of the minarets and fell through the recently restored ceiling – embedding itself in the carpet. The restorers soldiered on, however, and today the major structural restoration is virtually complete. In keeping with the theatricality of this palace, restorers painted the exterior in a stone color (as it was in 1827) to recreate as true a likeness as possible to the appearance of Bath stone blocks. The Queen was not amused – or was she? Queen Victoria, niece of George IV and his young brother William IV, was not all that impressed with the Royal Pavilion. It was too small for her family, lacked a sea view and, by the time she inherited it, the town was virtually on its doorstep. In 1850, she sold it to the town. The Brighton and Hove council still own it. Some say she also disapproved of extravagant furnishings. But she packed them up and took them with her when she sold the place. Eventually, she returned some of it. The furniture and artwork now on display in the house, including many original examples from the Chippendale workshop, are still owned by the Queen and are on loan to the Pavilion. The Royal Pavilion is open to the public everyday and its restored Regency gardens are a pleasant oasis in the middle of busy Brighton. Several of the rooms – including the magnificent Banqueting Room and Great Kitchen – can be hired for functions. 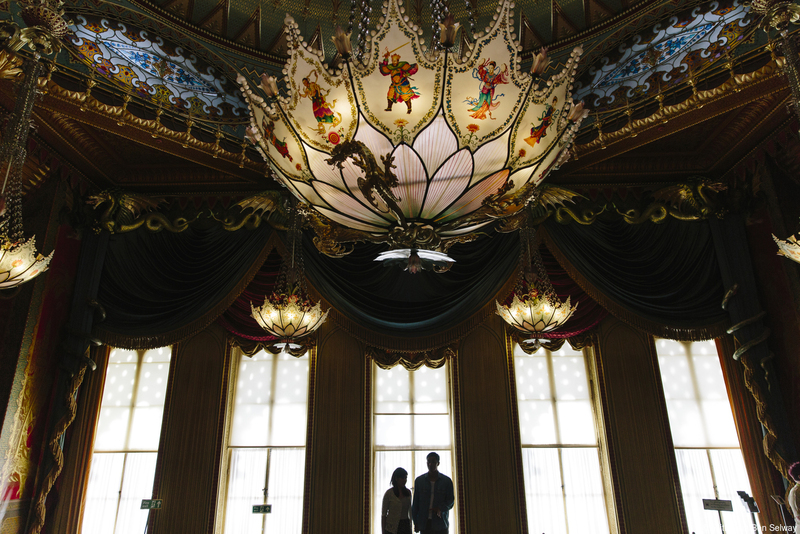 It is also possible to celebrate a marriage or civil partnership ceremony in the Royal Pavilion. Visit their website to find out more about admission charges, opening hours and hiring the Royal Pavilion. Having lived all my life just an hour along the coast, I’m a regular visitor to Brighton. I’ve visited the pavilion on numerous occasions both on my own and when I’ve showing friends or relatives around the town and never grow tried of it’s quirkiness and splendour. There’s usually an interesting busker in the gardens – a great spot for a picnic on a sunny day – and at Christmas there’s a popup ice rink with the pavilion as a backdrop. It’s magical! Yes, I agree. A wonderful place to visit in the very idiosyncratic town of Brighton.